empirical, quantitative research. Maria Montessori developed her educational philosophy based on years of careful observation of school-aged children. Her methods still heavily inform modern Montessori practice, as does her passion for research and continual improvement. The Montessori method is rather intricate, with many moving parts, which can contribute to confusion among potential families. Careful planning goes into the curriculum of each classroom, and into the planning of each school day, for each child. Beyond the day-to-day details though, there are certain themes that many parents tend to bring up. Sometimes, when people hear that Montessori classrooms are "multi-age" they assume that means that students are grouped based on ability or development. 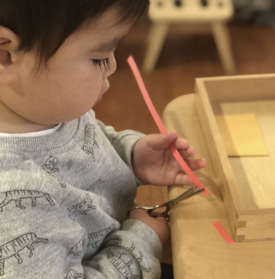 In fact, Montessori multi-age classrooms are organized based on three-year cycles, with each child staying in the same classroom for three years, before moving up to the next level. Students of different ages and ability levels learn from and alongside each other, with the help of individualized goal-setting and instruction. Students also benefit from the continuity of staying with the same teaching team and some of the same classmates each year, for three years. Working with people who are at different ages and developmental levels helps younger students to model their work after their peers, and helps older students to encode their learning at a deeper level as they help their peers, and remember the strides they made to get where they are now. Some parents worry that the concept of "self-selected learning" is too lenient, and will result in poor learning outcomes. While students are encouraged to select their own work, they are still held to certain standards, and are encouraged to reach and surpass the developmental benchmarks for their age. Students set goals with their teachers, and select work that helps them reach that goal. This gives students a sense of independence, and internal motivation to practice their work and reach their goal. Students meet with teachers regularly to make sure that they are on track, and teachers offer proper guidance for how to reach the next level of their learning. Somewhere along the line, the idea that Montessori schools are aligned with a particular religion or spiritual belief became prominent in many minds. Simply put, Montessori schools do not have a particular religious affiliation. That being said, there are religious schools that operate according to Montessori philosophy, making them religious Montessori schools. These schools are the exception, not the rule. Montessori curriculum puts a strong focus on cultural learning from a young age, and many religions and cultures are explored throughout a traditional Montessori education. Any number of factors may have influenced this myth. The fact that Montessori philosophy has not been widely adopted by American public schools may be the most prominent reason; people associate Montessori schools with being private, tuition-funded schools. While this is often the case, there are increasing instances of public and charter schools adhering to the Montessori philosophy, and there are numerous options for lower income families to pursue Montessori education in the public and the independent school environment. Maria Montessori originally developed her method with the hopes of serving all children. In fact, recent research has indicated that Montessori education can lessen the differences in achievement tied to socio-economic status often observed in traditional classrooms. 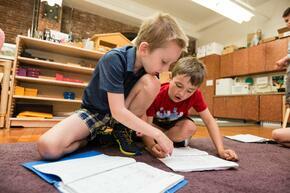 Have you heard any Montessori Myths you'd like to debunk? Comment below! 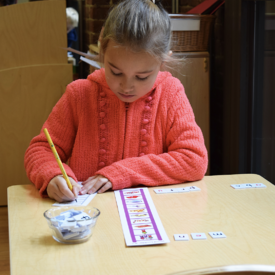 Follow the Kingsley Blog to learn more about Kingsley and Montessori education!